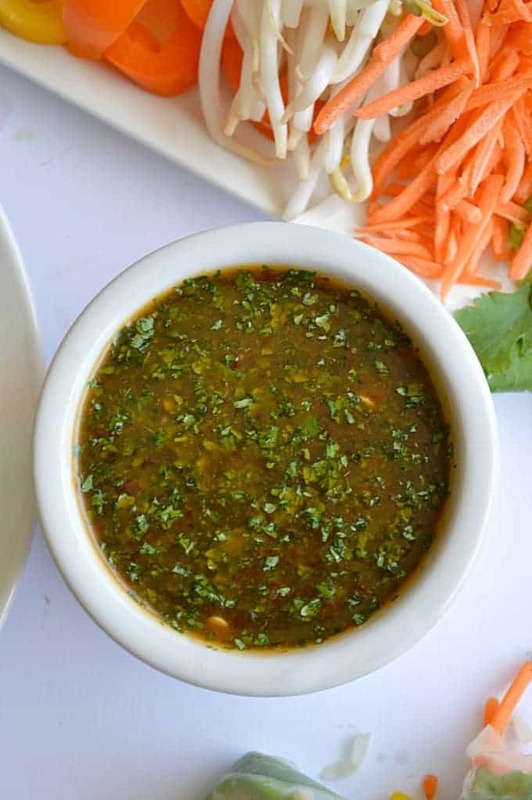 Avocado Summer Rolls served with a Sweet ‘N Spicy Cilantro Dipping Sauce. A healthy alternative to those fried egg rolls served in restaurants. You know those delightful fried avocado egg rolls with that wonderful dipping sauce, that you just want to bathe in, that they serve at restaurants? If you don’t know what I’m talking about, then I’m so sorry for your loss and not having that memory to keep you warm at night. 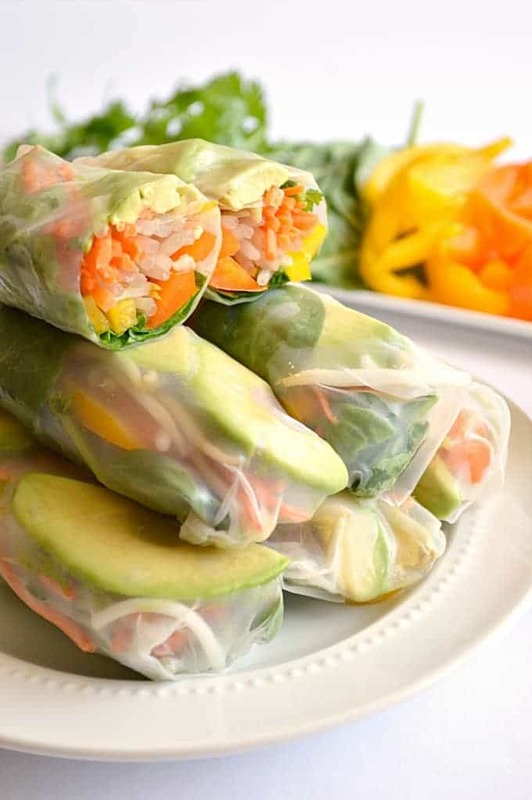 Anyways, these vegetarian avocado summer rolls are my healthy version. And I just so happen to have a skinny version of that sweet ‘n spicy cilantro dipping sauce that I want to pour over every single thing that I eat. Summer rolls, spring rolls, what’s the difference? Ask Google and you can get as confused as I did. What I can tell you is that these are really simple to make. They sell the rice papers at the market, you can find them in the Asian food aisle. Just a round tub of Spring Roll Rice Papers. A quick dip into water is what makes these that slightly sticky, totally lovable spring roll texture that we all know and love. Then it’s just really a matter of rolling your chosen filling up in it, like a burrito. You can take my word for it on how to do it, or you could be like me and spend the evening watching You Tube videos on how to make spring rolls. Who says I don’t know how to have a good time!?
) gives a slight heat. Pure perfection. This sauce will definitely make your taste buds do a little happy dance. Or you could be like my two year old..and dip them in ketchup. Nope. Not even kidding. Did I stop her? Nope. I was so happy she was loving the carrots and bean sprouts so much! 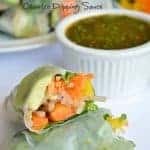 In the recipe below I listed the veggies I used to fill my summer rolls, it’s a wonderful combination of different textures, a little crunch, and little heat. You can fill your summer rolls with any combination that you want. If there’s something listed you don’t care for, it’s an easy swap. When building your summer rolls make sure you don’t overstuff them, this can cause the papers to tear while your rolling. But a nice sized handful of ingredients will get the job done! The more you make them, the easier it will become. If you make this recipe make sure you take a picture and share it on Instagram with #houseofyumm ! I love seeing your creations! Follow me for more pictures of food. Click here! Avocado Summer Rolls served with a Sweet ‘N Spicy Cilantro Dipping Sauce. 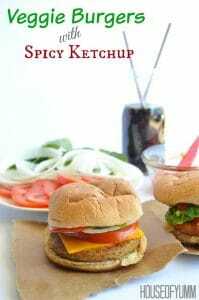 A healthy substitute for those fried avocado egg rolls from your favorite restaurant! 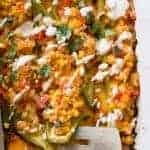 Prepare all the veggies, slice the bell peppers and avocado, set aside. Fill a large dish, or pan with room temperature water. Dip one rice paper into the water, ensure that the entire paper is submerged into the water. Only leave it in the water for about 5 seconds. Place the wet rice paper onto a hard surface. Set filling, minus the avocado, on top of the paper, off to one side. Next to the filling, set two to three slices of avocado. Start rolling the papers from the side closest to the fillings. Roll the fillings in first, then another roll to capture the avocado (this is how you make the avocado show on the top). Fold in both sides, and continue rolling, this will completely enclose the filling into the rice paper. Set aside and repeat with the remaining papers. 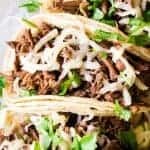 Add the ingredients into a food processor (affiliate link), process together for about 1 minute, until the cilantro is completely chopped up and all ingredients are mixed together. Spoon sauce into a serving bowl. Love fresh spring rolls! It’s surprisingly easy to make too. I know what’s for dinner tonight! They are easy! I was nervous at first, I thought I would rip the papers. I was surprised how strong they are. 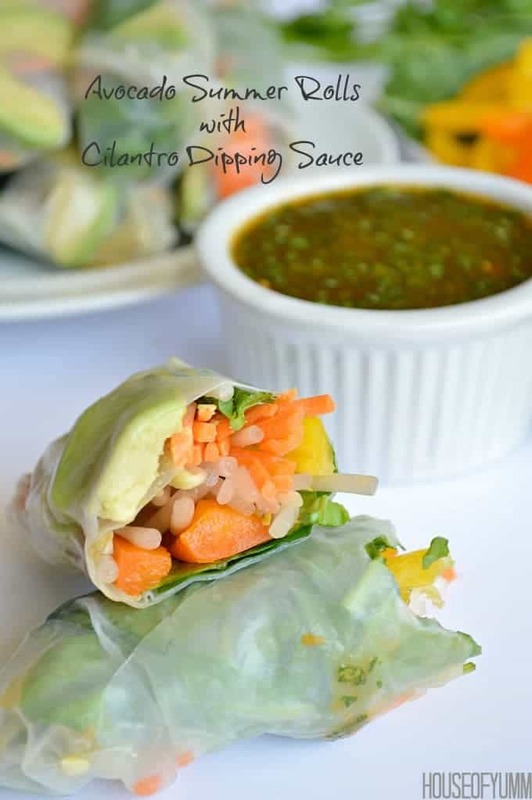 These summer rolls and that dipping sauce look amazing! 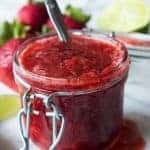 Thanks for including a link to my post too! Hi Kerri! Thanks so much! And I don’t know of a good substitute for the cilantro in this sauce. 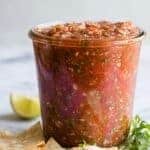 You could make the sauce and leave it out completely. I haven’t made these yet. I am really looking forward to it. A question, how long can they set before eating. Can I make them in the morning to eat later in the afternoon? Just wondering if the wrappers will get soggy? 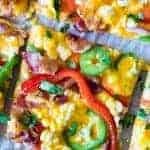 You can pre-make these! 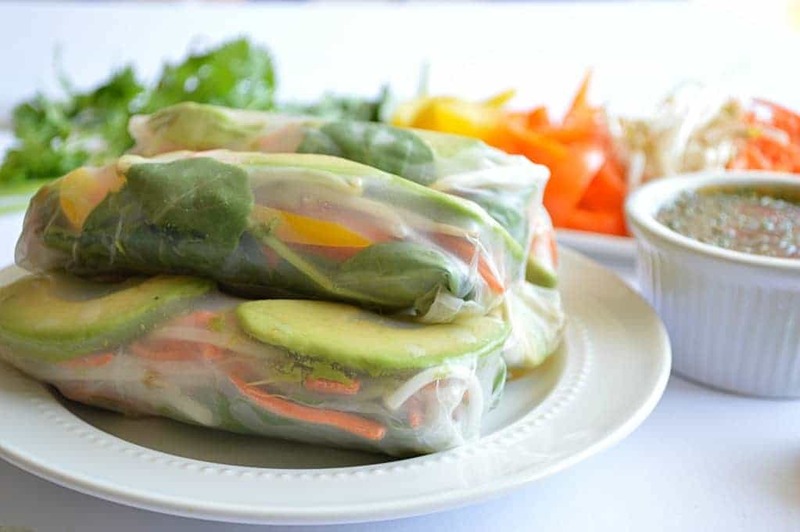 Wrap individual summer rolls tightly in plastic wrap and store the rolls in an airtight container. They can be stored for about 2 days like this.